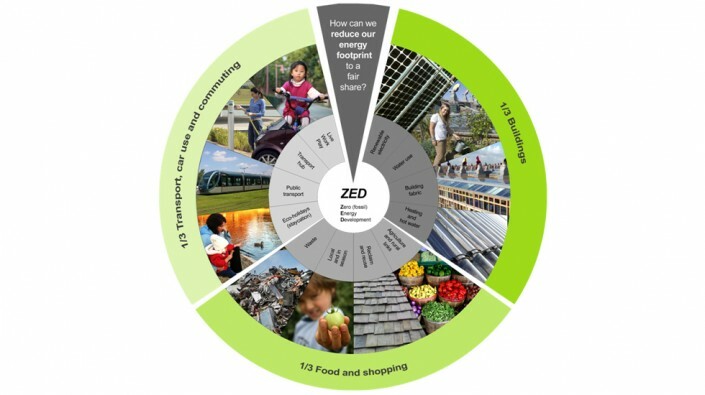 ZED stands for Zero Energy Development, a concept developed by Bill Dunster to reduce all the impacts of one’s lifestyle to a level that the planet can cope with. 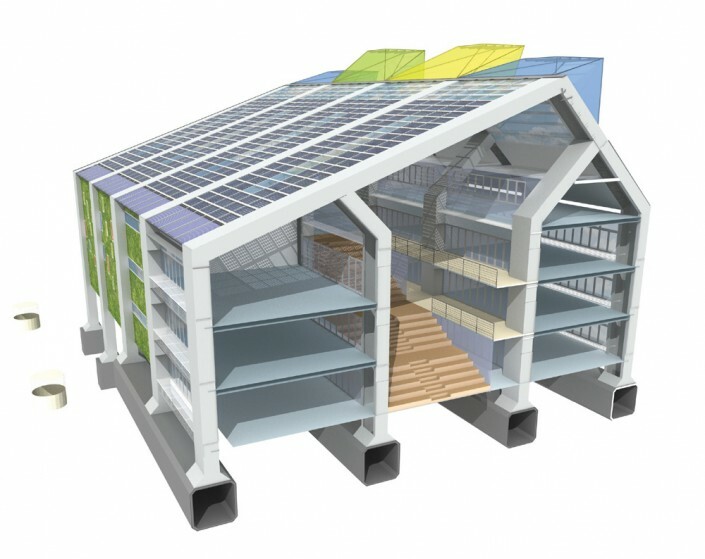 Whilst a third of our energy footprint is used by buildings, it is also essential to address how residents transport themselves and where the food comes from when designing an Zero Energy development. 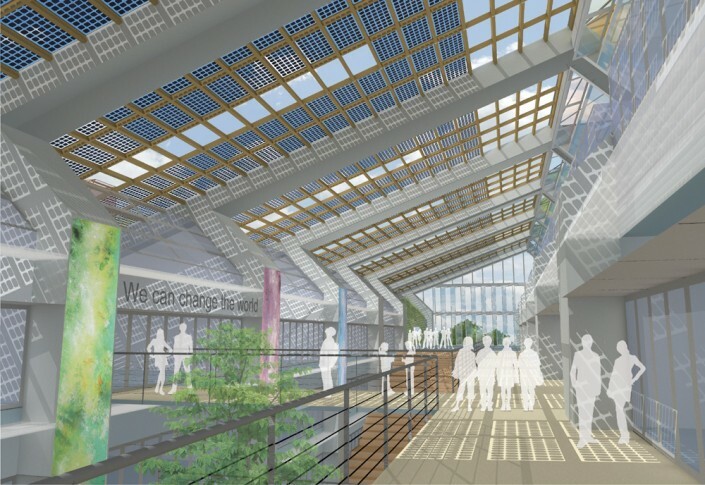 The ZEDschools’ design makes use of prevailing winds by channeling fresh air through ground cooling ducts which negate the need for air conditioning in summer months. The large translucent photovoltaic roof creates enough electricity to power the school.